A special government workgroup has been preparing proposals over the privatisation of certain state owned companies, Delfi found. 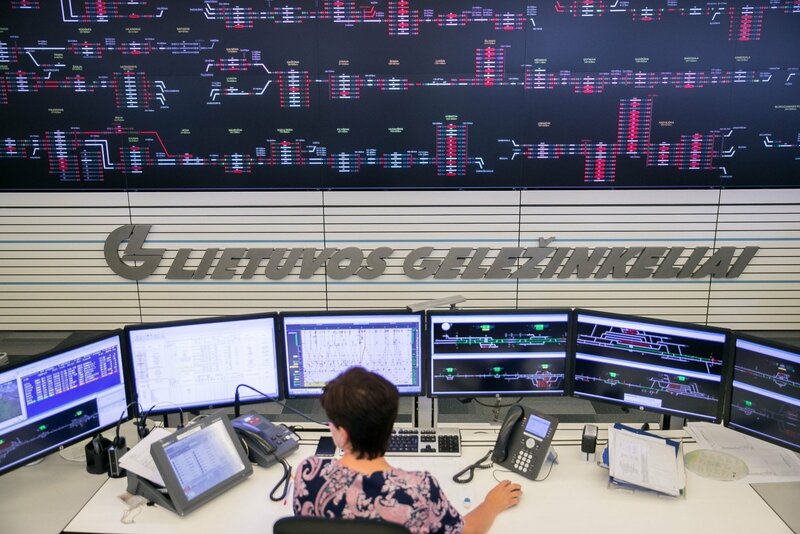 For example there are plans to sell a third of Lietuvos Energija [Lithuanian Energy], Lietuvos Geležinkeliai [Lithuanian Railways] and Lietuvos Paštas [Lithuanian Post] stock each, but final decisions have not been made regarding it yet. The latest meeting of this workgroup, which includes government chancellor Milda Dargužaitė and vice Minister of Economy Ramūnas Burokas, was held on Friday morning. After it, the head of the Ministry of Economy Department of Public Relations and Protocol Aušra Ramoškaitė stated that the ministry will not comment on this topic in the near future and recommended to consult the government chancellery. Meanwhile M. Dargužaitė was unavailable for comment on Friday – her representatives stated she would be in meetings all day. Lithuanian President Dalia Grybauskaitė is aware of the planned privatisation of state owned companies. She has responded to such pursuits with criticism, stating that it could be dangerous. The Conservatives have also sounded warnings over the dangers of such plans. Meanwhile the head of the Seimas Committee of Economics, Virginijus Sinkevičius tried to ease worries, stating that the discussion is only beginning and the talks are only of stock listing and not privatisation. Based on the preliminary summary of the workgroup based in the Ministry of Economy that Delfi has had acess to, it will be offered to sell a third of the stocks of Lietuvos Energija, EPSO-G, Klaipėdos Nafta [Klaipėda Oil], Lietuvos Geležinkeliai, Lietuvos Paštas and Lietuvos Radijos ir Televizijos Centras [Lithuanian Centre of Radio and Television]. The summary also states that there are proposals to also sell the following daughter companies of Lietuvos Energija: Duomenų Logistikos Centras [Data Logistics Centre], NT Valdos, Energetikos Paslaugų ir Rangos Organizacija [Energy Service and Contracting Organisation] and Elektroninių Mokėjimų Agentūra [Electronic Payment Agency]. What is peculiar is that the Ministry of Finance which controls the stock of Lietuvos Energija does not support the sale of a third of the stock, just as certain other proposals linked to this government owned company. TETAS, the daughter company of EPSO-G which deals in electricity transfer systems may also be sold. In regard to Lietuvos Geležinkeliai, it would be proposed to fundamentally reorganise the company's activities, separating the public rail infrastructure, freight transport services and passenger transport. There could also be proposals to sell off the following railway daughter companies: Geležinkelių Projektavimas [Railway Design], Geležinkelio Tiesimo Centras [Railway Construction Centre], Vilniaus Lokomotyvų Remonto Depas [Vilnius Locomotive Repair Depot], Gelsauga and Geležinkelių Aplinkosaugos Centras [Railway Environmental Protection Centre]. Based on the document's information, after reorganisation, rail freight services would be privatised. The Ministry of Transport and Communications which controls the railway companies does not support the suggested changes. The workgroup's proposals also speak of reorganisation for the Lietuvos Paštas company group and discussions of separating commercial activities, privatising them. The post's daughter company Baltic Post would be sold, while the companies Lietuvos Pašto Finansinės Paslaugos [Lithuanian Post Financial Services] and LP Mokėjimų Sprendimai [Lithuanian Post Payment Solutions] would be liquidated. The Ministry of Transport and Communications which controls Lietuvos Paštas has specified that it does not support the separation of the company's activities and noted that the infrastructure needed for the special commitments of the company group is jointly used by all its companies to provide services. Based on the document, there could also be proposals to liquidate Būsto Paskolų Draudimas [Mortgage Insurance], Dotnuvos Eksperimentinis Ūkis [Dotnuva Experimental Farm] and Lietuvos Kinas [Lithuanian Cinema]. There are also plans to privatise Detona, Problematika, Panevėžio Veislininkystė [Panevėžys Breeding], Šilutės Polderiai [Šilutė Polders], Valstybinė Projektų ir Sąmatų Ekspertizė [State Project and Estimate Expertise], Aerogeodezijos Institutas [Aerogeodesics Institute], Klaipėdos Žuvininkystės Produktų Aukcionas [Klaipėda Fishery Produce Auction], Vilniaus Metrologijos Centras [Vilnius Metrology Centre], Projektų Ekspertizė [Project Expertise], Universiteto Vaistinė [University Pharmacy], Giraitės Ginkluotės Gamykla [Giraitė Weaponry Factory], Geoterma, Poilsio Namai "Baltija" [Rest and Rehabilitation Centre Baltija], Kauno Petrašiūnų Darbo Rinkos Mokymo Centras [Kaunas Petrašiūnai Labour Market Teaching Centre], Respublikinė Mokomoji Sportinė Bazė [Republic Sports Teaching Base], Lietuvos Monetų Kalykla [Lithuanian Mint] and Informacinio Verslo Paslaugų Įmonė [Information Business Service Company]. There are also plans to privatise the Lithuanian exhibition and conference centre LITEXPO. Partial privatisation (50%+1 stock remaining for the state) is also planned for Toksika. Currently state participation would be left in the Viešųjų Investicijų Plėtros Agentūra [Public Investment Development Agency], Jonavos Grūdai [Jonava Grain], Gyvulių Produktyvumo Kontrolė [Cattle Productivity Control], Žemės Ūkio Paskolų Garantijų Fondas [Agricultural Loan Trust Fund], Investicijų ir Verslo Garantijos [Investment and Business Guarantees]. There are plans to merge Kiaulių Veislininkystė [Pig Breeding], Lietuvos Žirgynas [Lithuania Stud Farm], Šilutės Veislininkystė [Šilutė Breeding], Šeduvos Avininkystė [Šeduva Sheep Breeding] and Upytės Eksperimentinis Ūkis [Upytė Experimental Farm]. Delfi inquired whether Lithuanian President Dalia Grybauskaitė has been informed of such projects, also how she views the project currently being prepared by the government. "The president has received information about the government's plan and was especially critical of them during her latest meeting with the prime minister," a release from the president's press agency stated. It outlines that under current geopolitical conditions, privatising strategic energy, transport and communications companies is especially dangerous because the stock of these companies could land in the hands of hostile states. This would be a breach of state national security interests. "Furthermore privatisation could halt currently ongoing strategic energy projects and reforms in companies such as Lietuvos Geležinkeliai. State company privatisation would also impact the prices of services," the representatives of the head of state stated. A personal initiative by M. Dargužaitė? The head of the opposition Homeland Union – Lithuanian Christian Democrats (TS-LKD), member of the Seimas Committee of Economics Gabrielius Landsbergis stated that discussions regarding the government's planned sale of state owned companies, including strategic ones, were not held with the Seimas which holds decision making power. "It is difficult to tell what is going on. I was truly surprised by the possibility that this could happen. I cannot imagine that a question such as this could reach such a stage – discussions in the government chancellery and we only find out now that it is going on. Why was there no discussion, preparations?" he expressed surprise. According to G. Landsbergis, the future of state owned companies is a particularly sensitive question, both in terms of national security and both in terms of national interest, competitive environment and other matters. "You then begin suspecting almost sabotage, that perhaps the staff of the government chancellery or the head of the chancellery, knowing that the question could be unpopular, took personal initiative and began the process in half-secret," the Conservative leader said. He noted that seeing the current government, which is currently poorly prepared to work, could reach dangerous situations without support in Seimas. "This is simply because the process can quickly run out of control. The greatest problem, and not just in this regard, but also when the prime minister speaks about taxation is the question – who will support it? Without a majority, without the Social Democrats, without Conservative support, without the support of some sort of minor partners, this is simply raising a question which can lead to who knows where," G. Landsbergis explained. The TS-LKD chairman told Delfi that he has "a small hope" that perhaps a mistake was involved in talking about the sale of state owned company stocks. "If not, then we certainly need to come to the bottom of who thought it up, who is standing behind it and what their aims are. Whether this isn't the sabotage of state interests," he said. Seimas TS-LKD group members Laurynas Kasčiūnas and Žygimantas Pavilionis have publically appealed to Prime Minister Saulius Skvernelis due to their concerns about the plans to sell state owned company stocks to private investors. "State companies have strategic impact on national security and hold great significance in the state as national security objects, thus any decisions, particularly linked to the privatisation of such companies have to be thought over very seriously. [...] When making such decisions over privatising state owned companies and/or reorganising them, one cannot simply operate based on market, good management practice and similar principles. Alongside pursuits of greater effectiveness and economic benefit one must always remain conscious of the interests of consumers and national security requirements," the politicians' appeal states. L. Kasčiūnas who works at the Seimas Committee of National Security and Defence told Delfi that based on available information, the government workgroup has offered actions which raise a great number of questions. "In many cases we are talking about strategically important or important companies. In some cases we are talking about natural monopolies which provide products to all consumers under regulated prices. 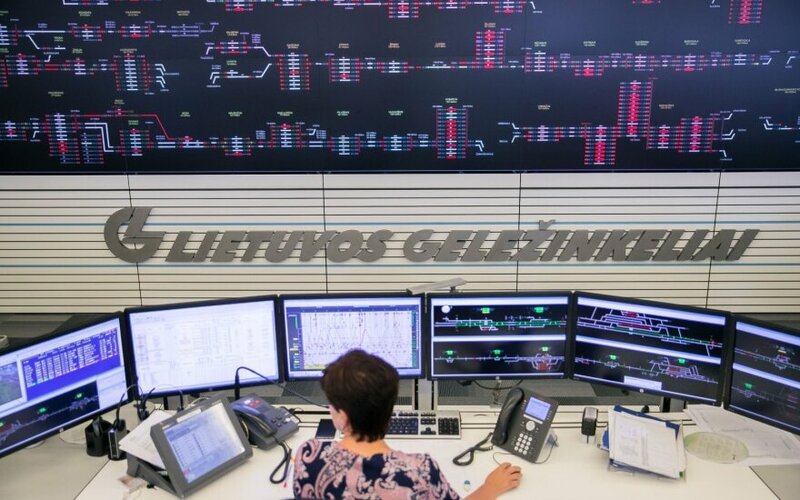 In such a case it is not just a question of national security, but also of economic motives – imagine if a private investor enter Lietuvos Energija, Litgrid or such, even holding a third of the stock, it would be interested in raising revenue. It is a natural interest, but we are talking about companies upon which the consumers' welfare depends," the politician stated. L. Kasčiūnas stressed that in this situation we are also talking about national security questions because these are talks about strategic companies which would have private funded injected into them. "You know, these days capital from various companies can come in various forms, through various schemes and not necessarily directly. Of course we have safeguards, but safeguards are one thing, while in this case we are talking about companies that perform projects of state importance. If we plan to sell the stock of such companies, we should seriously consider the ramifications. I believe that such companies should remain in the hands of the state, we cannot play games with such things," the conservative said. According to him, information that decisions may be done despite opposition from some of the ministries which control the company stock makes the situation "even more interesting." "Another important matter is that Lithuania is preparing for membership in the Organisation for Economic Co-operation and Development (OECD). The entry regulations accent the reinforcement of the rights of minor stockholders. Imagine if we allow even 30% private capital into our strategic companies, granting it even more rights, we are left with even more questions, whether decisions won't be blocked or certain projects and such," L. Kasčiūnas mused. The politician stressed that Lithuania has already had examples where the privatisation of state owned companies failed to bring the desired results. "Just recall the privatisation of Lietuvos Dujos" – there were talks then that with the company being sold, prices will decline, development will accelerate and such. Then E. On and Gazprom came and we paid the most in Europe," he cautioned. The chairman of the Seimas Committee of Economics Virginijus Sinkevičius of the Lithuanian Farmer and Greens Union group told Delfi that the workgroup's proposals is talking of stock listing for the companies, not selling them. "No, it must not be done [privatisation]. I am certain there are no talks of privatising the companies, particularly those of strategic importance. Perhaps there are talks of stock listing, where the company is reformed, a part of its stock is released to the stock market for sale, but the state retains the core stock share. I believe it is healthy and contributes to the company's transparency," he explained. The "Farmer" representative stated he believes that currently a discussion is ongoing over what part of the stock could be sold. "There are concerns that too great a portion of stock could be listed, say 33% or such. In such a case it is very important, particularly with strategically important companies that the state would retain all the rights to control," V. Sinkevičius said. He assured that the government project is not final and there should still be discussions over it. "Give it more time. I definitely believe that there can still be discussions about this because there is need to review the importance of those companies again and whether the part that is to be listed, if it is a third of the stock, whether it isn't too much. I believe the discussion is only beginning," the politician stated.